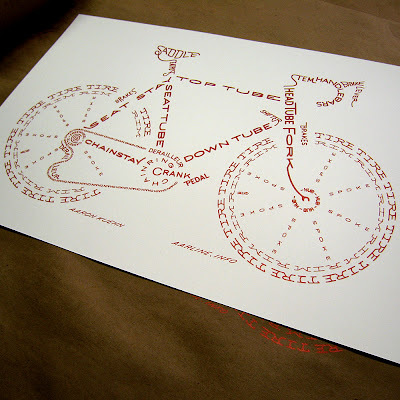 Cyclist, graphic designer and silkscreen artist, Aaron Kuehn has created this large 20x13" bicycle typogram print for The Los Angeles Bicycle Coalition. 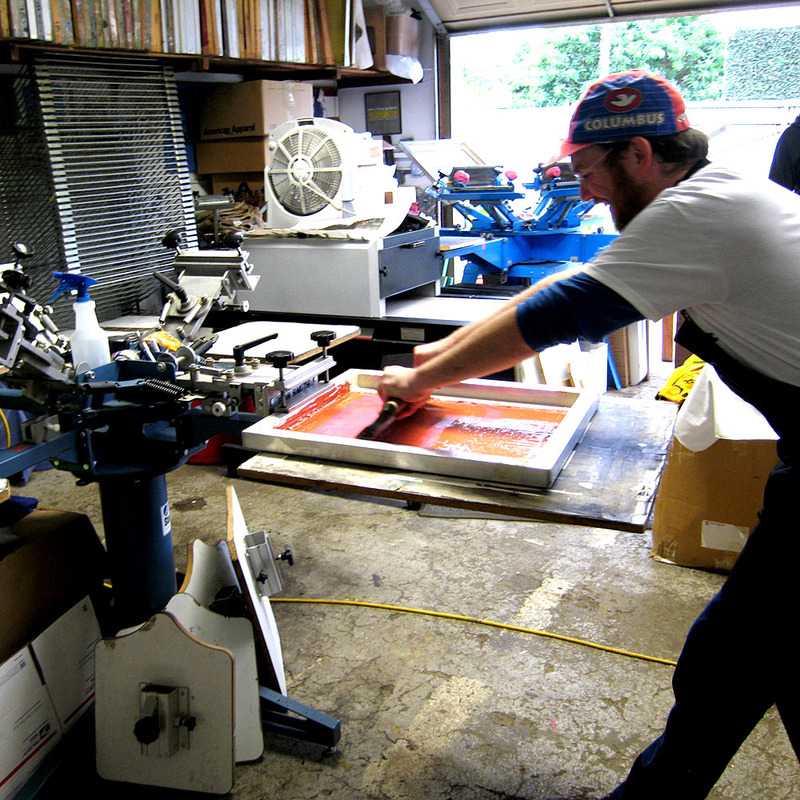 The first edition sold out immediately, and a 2nd edition can now be ordered. Get yours here. 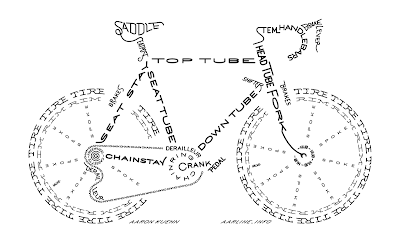 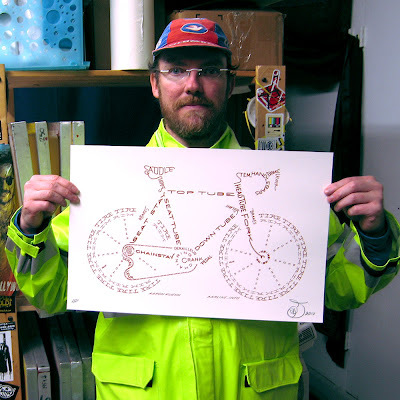 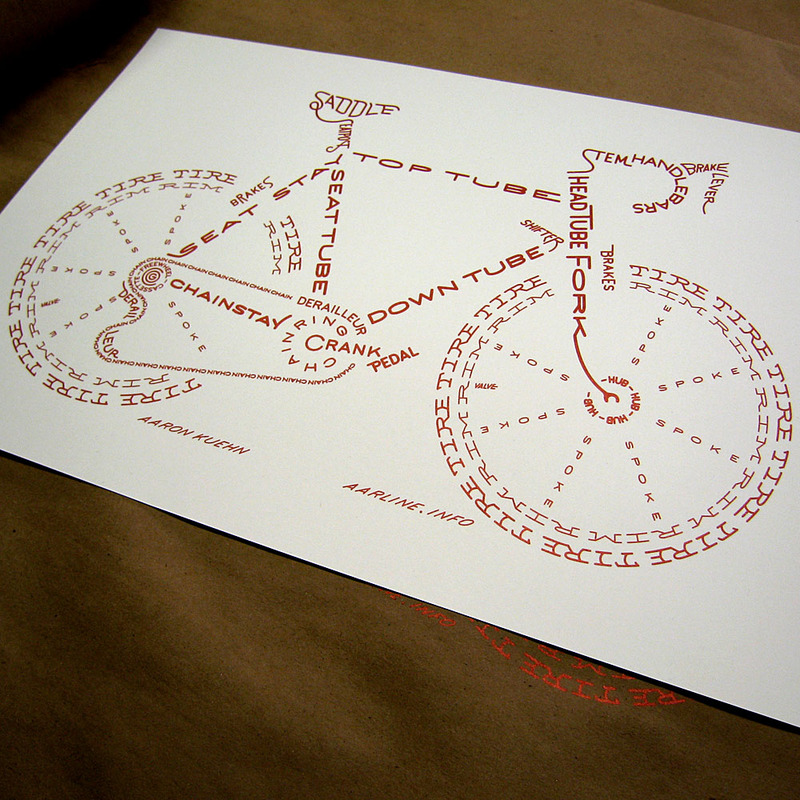 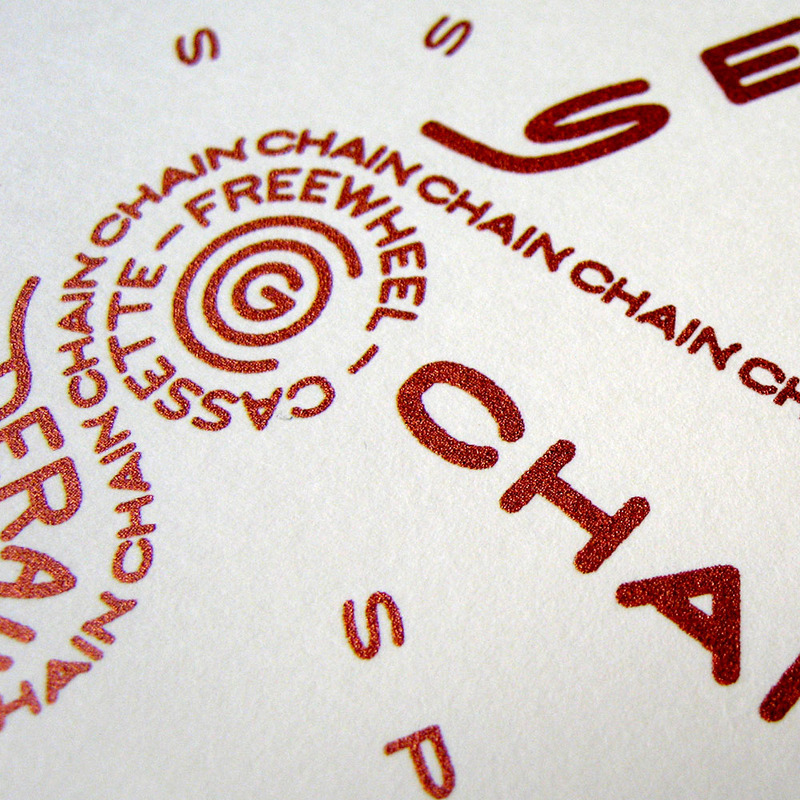 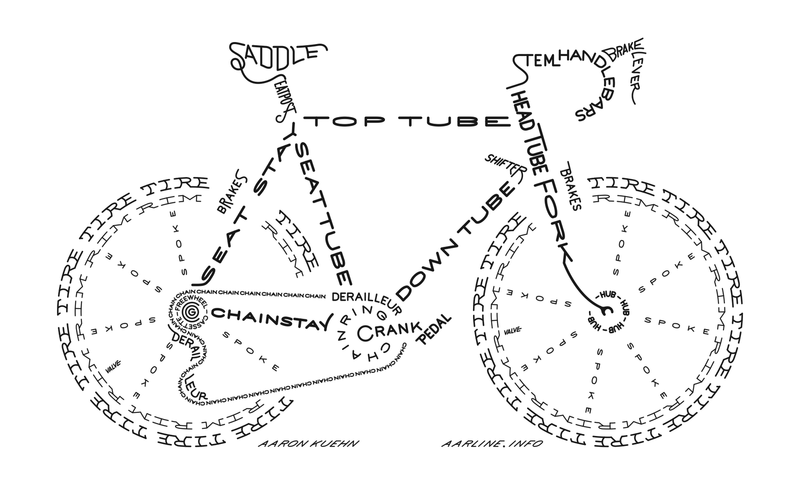 You can also download a hi-rez image of his typecycle here and print your own.